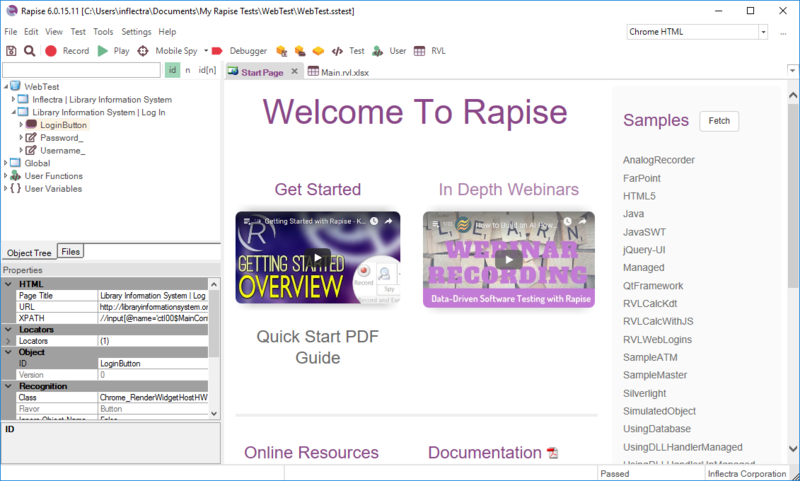 In this section, you will learn how to record and execute a Rapise script against a web application. 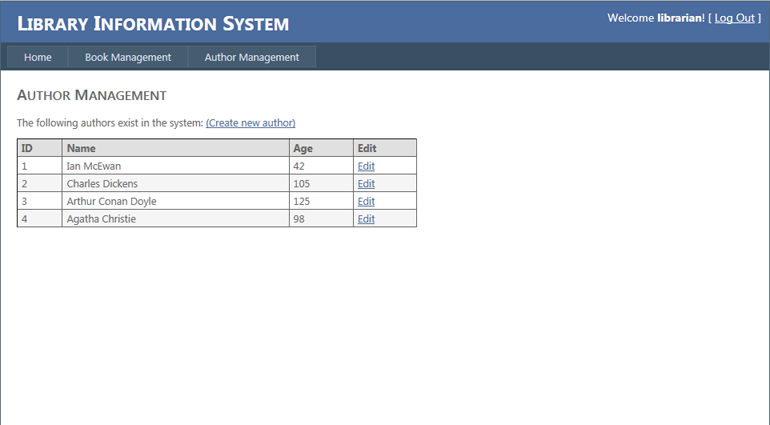 We will be using a demo application called Library Information System. Our test will be simple. 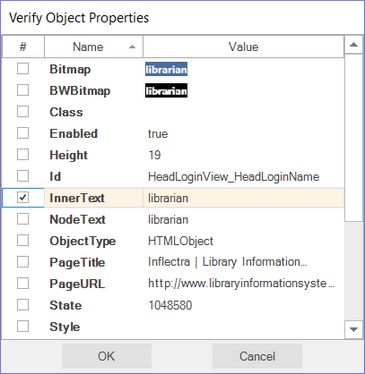 It will log on to the library catalog, navigate to the main menu, and click on all of the menu options to make sure the links are working. Go to Start > All Programs > Inflectra > Rapise. The following window should appear. 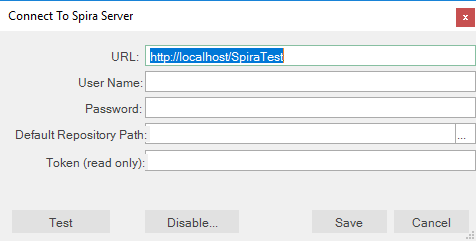 Select File > New Test in the main menu. 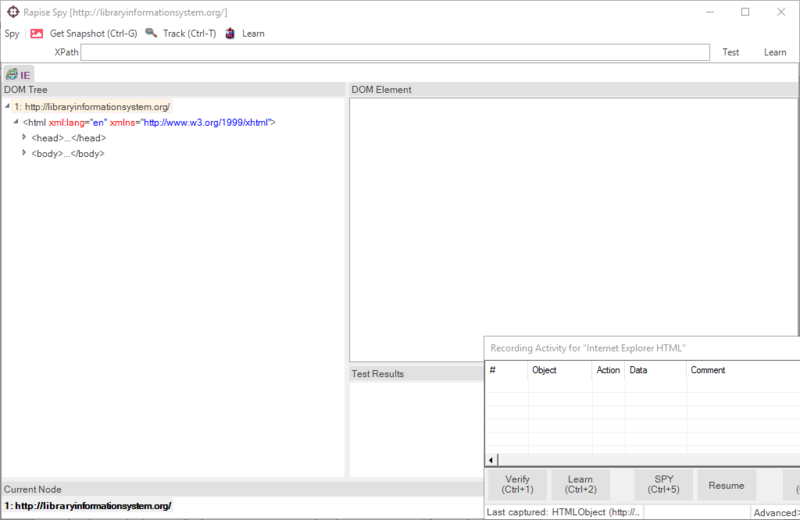 Choose ‘Internet Explorer HTML’ from the list of options. You are now ready to record your first test. 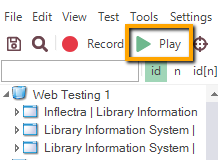 In the Rapise window, press the Record button on the toolbar. The RA dialog has a grid. As you interact with the sample Library Information System program, the grid will automatically populate with your actions. Let's begin creating the test. 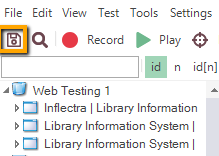 On the library information system login page, click on the Log In link in the top-right of the screen. The password for user librarian is also librarian. Type the password in and then press the Log-In button. 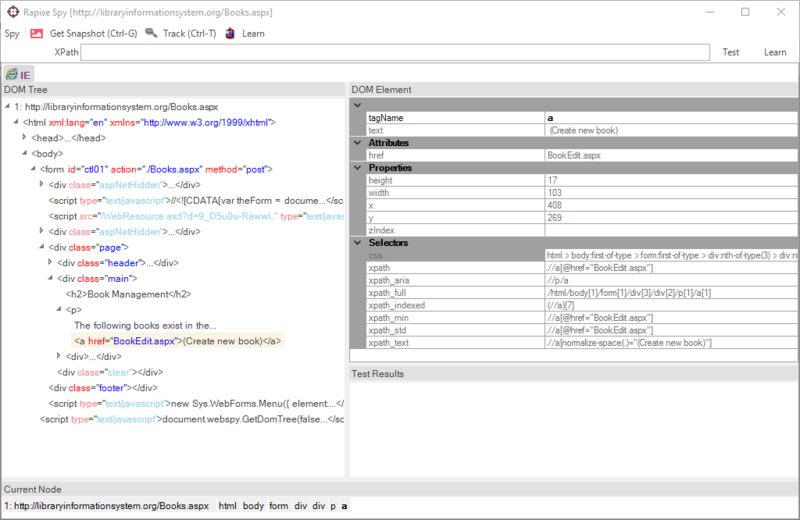 This box lets you add a checkpoint to verify the properties of an object on the screen. You should now be on the Book Management page (see the below image). You should now be on the Create New Book page (see image below). Click the HOME button to go back to the main menu. You should now be on the Create New Author page (see below). Click the Home button to go back to the main menu. At this point, there should be 11 rows in the RA dialog grid. You are now back on the Main Menu. Click Log Out (top-right). To end the recording session either press CTRL+3 or click Finish button on the RA dialog. Let's save our test. Press the Save button at the top left of the Rapise window. Let's execute the test we just created. First, close Internet explorer. 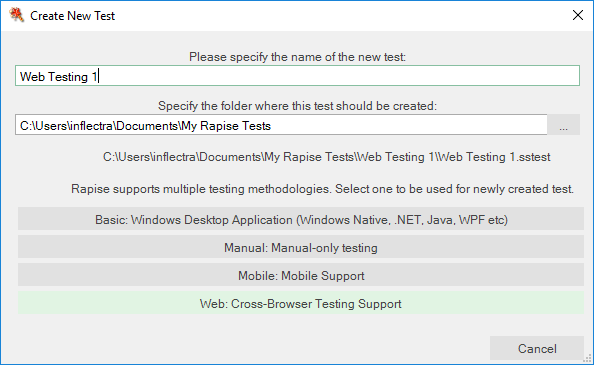 Rapise will open a new instance of Internet Explorer to the correct url (www.libraryinformationsystem.org) when the test begins. To execute the script, press the Play button on the toolbar. After execution, a screen like the one below will appear. Each row represents a step in the test. 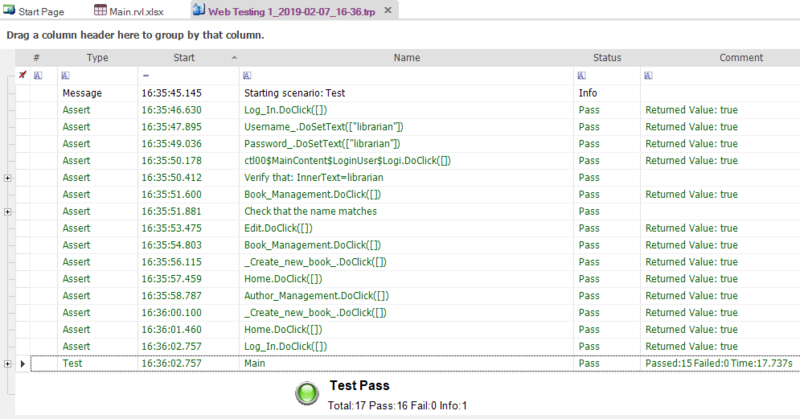 The rows with green text are steps which passed, whereas the rows with red text are the steps which failed. For more information on the report, see Automated Reporting. Now that we have recorded our test in Internet Explorer, we want to play the same script back in other browsers. That is very easy to do. Find web browser dropdown in the top right corner of the Rapise window and select a different browser (e.g. Firefox, Chrome, Selenium - *, etc.) and click the Play button. Before the playback in other browsers will work correctly, you will need to make sure you have configured the web browsers appropriately. 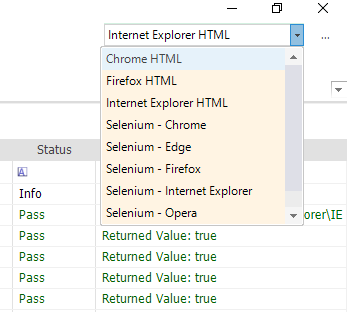 In the case of the Selenium options, you will need to make sure you have installed the Selenium WebDriver binaries correctly. 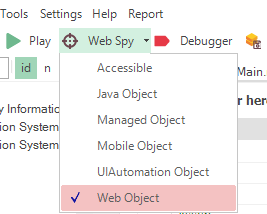 This section will demonstrate how you can use Rapise to inspect the objects in a web page and Learn them for testing. 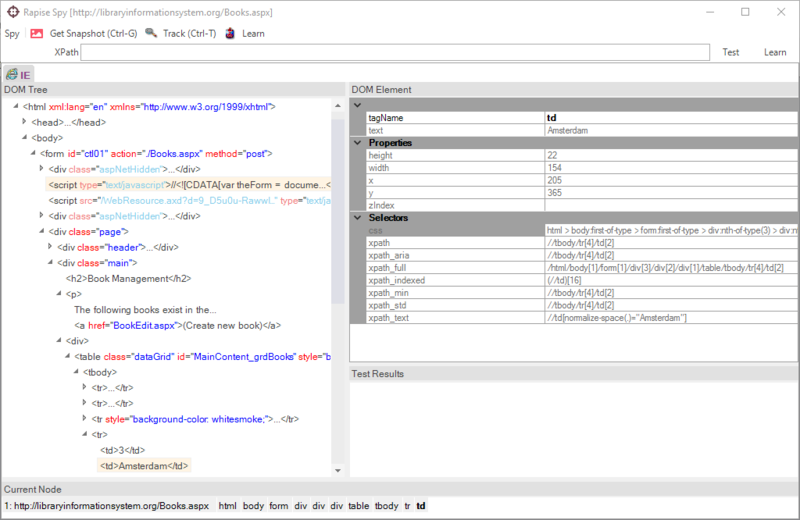 This is useful in cases where you have more complex applications to test and you need to pick specific objects. 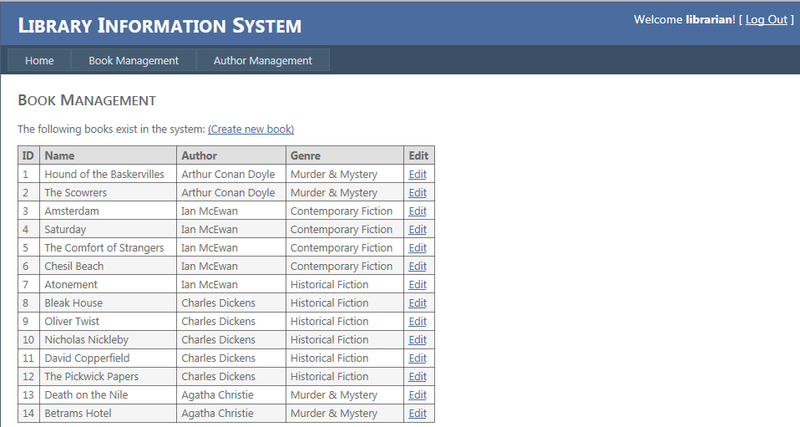 For example you may want to select one of the books in the grid based on its name rather than its row number (which may change if you add books). CSS and XPath expressions for locating this element in Selectors section. Find the table with the specified ID. Find any row inside that table that contains a cell with the text 'Amsterdam'. For any matching cell, get its parent row and inside the fifth cell, get any hyperlink. 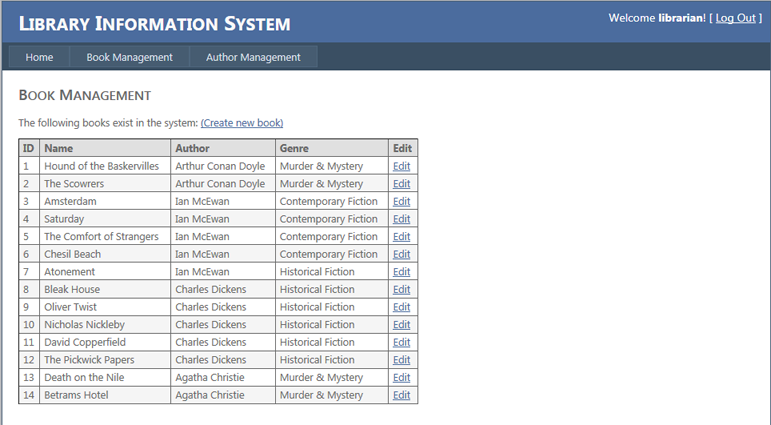 so that Rapise goes back to the main book list page before executing the Create New Book step. If we did not do this, the test would have failed. So, to make the test more useful, we can use the Assert command to turn this into a test for the correct value. To make the change, simply delete this entire row using the Delete Current Row option on the toolbar and add a new blank row in its place. This is the message that will be displayed in the report. Notice how Rapise automatically changed the second row from Param to Action. 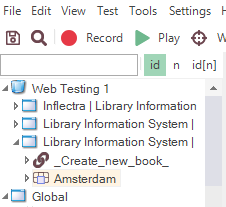 Now in the TBD cell next to the Action type, choose the Amsterdam object name and the GetInnerText action from the dropdown lists. 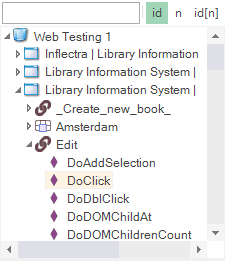 Finally change the param2 string from TBD to the expected value “Amsterdam”.